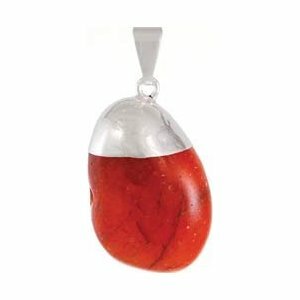 This pendant presents a piece of tumbled carnelian, captured in a silvertone setting and a large bail. No cord. 1/2-3/4"